I enjoyed presenting some of my lab’s work at the Progeria Research Foundation’s 9th International Scientific Workshop and later meeting with some of the kids in attendance. Here, I got to sing a song for 17-year-old Meghan (left) from the United States and 2-year-old Alptug (middle) from Turkey. The workshop was held in Cambridge, MA from September 20-22, 2018. Credit: Carol Moroney. 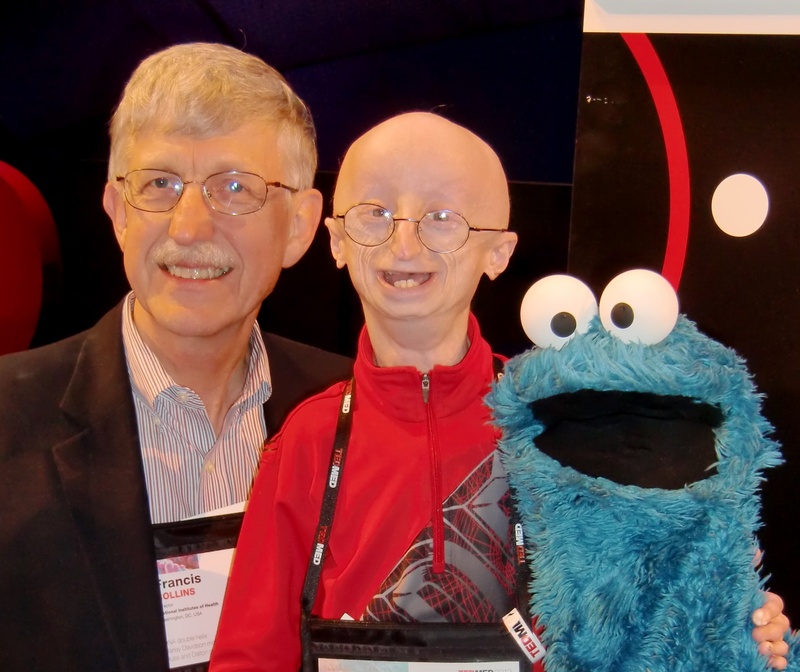 A decade ago, my research lab helped discover the cause of progeria: a mutation in the lamin-A gene . Just a single letter substitution in the genetic code (C to T) creates a toxic version of the protein. The abnormal protein is missing a segment, and is no longer digestible by an enzyme called ZMPSTE24—essentially a molecular scissors. Without that final snip, the lamin-A protein causes molecular havoc.